We’re used to seeing Leandra Medine in a harmonious blend of bright, colorful, and sometimes eccentric pieces styled in ways we never thought possible (remember when she tied a neckerchief to her ankle? Or a sweater around her neck like a scarf?). So when we saw Massimo Dutti’s latest shoot featuring the blogger in an array of strictly classic wardrobe pieces like blazers, trousers, and the like, we were intrigued to see her styling approach. Medine put the Man Repeller spin on the looks, of course, with special touches like a glittery sock worn with penny loafers and a stack of pendant necklaces placed inside a pajama blazer. Though the five outfits certainly err on the subtle side, they still make a statement thanks to the spot-on styling. 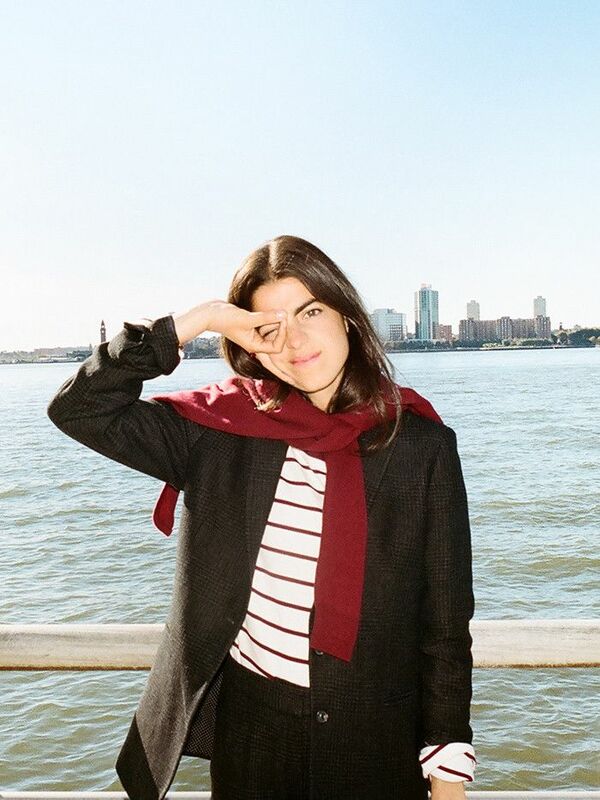 Scroll down for five fall outfit ideas from Leandra Medine, and then head over to Massimo Dutti to shop the looks. A menswear-inspired blazer with a striped tee is a classic combination. Add a pop of color with a scarf or sweater knotted around the shoulders. Still wondering what you should wear to Thanksgiving dinner? You're looking at it. Balance out an edgy leather mini skirt with a crewneck sweater and draped shearling bomber. (Finally) test out the pajama dressing trend with a matching top and pant. Want a little winter white in your life? Style a sweater and trousers with a tailored black coat and noir booties. Which of these outfits would you wear on repeat? Tell us in the comments.